It was a beautiful day in Konoha, but a dark day in the world. The 5th Hokage sat leaning over her desk, resting her head on her interlocked hands and looking at the shinobi in front of her. "By now all of you know the situation..." Tsunade said, and she was referring to the fact that Naruto and Gaara had both got up and left their villages a few nights ago. 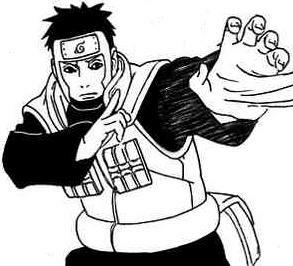 The hidden sand went into a panic and contacted Konoha, allowing them to realize Naruto had also vanished into thin air. Tsunade knew this was no coincidence, so she decided to contact the hidden cloud village since they housed 2 hosts. She received no word. "All of you here now are the best suited to take on this S+ rank mission. We have no idea what's going on within the hidden cloud, so I suggest not rushing in with your necks sticking out. I only assigned two squads because our village can't afford to send all of our strength so far during a time like this... Are there any questions?" Tsunade asked, and everyone was silent. She sighed and swirled around in her chair to look out the big windows behind her. "All of you... please be careful, I have a feeling that the Akatsuki might be behind all of this." 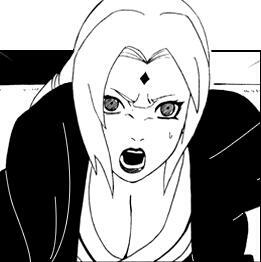 the legendary sanin said, and a grim look came upon Chiyo's face. Multiple black blurs would all land onto the ground as both Squad A and Sqaud B grouped back together. Still serounded by the massive moutains that was the lightning country, they were still fairly far from the village. Yamato decided to stop before they continued into the village so they could formulate a plan. "Alright listin up everyone. Were going to need a game plan before we enter the village. I've though it over and Squad B should enter from the sewers bellow. If something is realy going on here the odds of meeting enemies down there are lower, but like always you will have to proceede with caution. We will be entering right into the village. 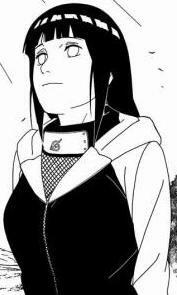 With Hinata's Byakugan and Shino's bugs we will be safe up here then you. Were going to have to try staying hidden untill we figure out whats going on. We also should turn on our communication devices right now so we dont forget later." Everyone would turn their com devices on as Yamato said "Any questions?" If not he would continue "Were still a ways out so we should get going now. The suns almost completelty down." Both squads would then set off towards the direction of the cloud village. The eight man team came to a halt not to far from the village of Kumo but hidden by the many mountains surrounding it. It was almost night time, meaning their mission was about to commence. But before they would procede Yamato devised a plan for the entry. Sakura listened as Temari was looking around to make sure no one was around but still listening. As they were asked to do, both female shinobi turned on their communication devices to the same channel as everyone else. "Lets go" Sakura would say as she punched her open palm with her other fist after Yamato ask for any questions. Then the eight shinobi went on towards Kumo as the night aproched. "I swear, i'll get you back Naruto!" Sakura would say to herself as she clenched her fist with the glove. Temari a few feet behind her would say to herself "we're comeing for you little brother."